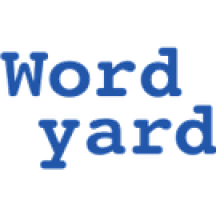 Wordyard / Blogging / Where’s Twitter’s past, and what’s it’s future? Where’s Twitter’s past, and what’s it’s future? Blogs privilege the “now.” New stuff always goes on top. But they also create a durable record of “then” — as I have learned in spending the last couple of years digging through the back catalog of blogging. One of the great contributions of blogging software is to organize the past for anyone who writes frequently online. Before blogs, with each new addition to a website we had to think, where does this go, and how will I find it later? Blog tools, as personal content management systems, ended that era. Twitter is great at “now.” But as far as I can tell, it’s lousy at “then.” It offers no interface to the past. You can’t easily navigate your way backwards in time. Each tweet is timestamped and lives at a unique URL. So it should be possible to build the machinery to organize one’s tweets into a more coherent record. (Dave Winer has written about this and done some work to store his Twitter past.) But — again, as far as I’ve been able to determine — we don’t really have a clear sense, or commitment from Twitter the company, of how long these URLs are going to be around. If Twitter can engineer its way out of the scaling dilemma, we’re still looking at a platform that is owned by one company. One of Dave Winer’s original message as a proto-blogger in the mid-90s was to warn us about such platform ownership and to celebrate the arrival of the Web as the platform that nobody owns. Today Winer is sounding the same alarms about Twitter, and they are worth weighing. While I find Twitter far more open to the Web than, say, Facebook — which really feels like an AOL-style walled garden — it’s still just one company, with one “namespace,” or set of unique names for people to claim (good Twitter IDs will probably run out even faster than domain names). To date I think Twitter has done a pretty fine job of serving its platform and its users — though I have qualms, as many do, about the way its Suggested User List mixes up editorial and business roles without taking full responsibility for either. But once the company decides it’s time to “monetize” — whether that happens next month or year or decade, and whether it’s handled sensitively or crudely — we are likely to see old-fashioned conflicts between serving users and serving the quarterly revenue targets re-emerge. Best case: Twitter hits a home-run by finding an innovation that, like Google’s targeted text ads, brings in revenue without degrading the primary service. (There is a subtle argument — espoused by Rich Skrenta and others — that Google, in monetizing its pages, corrupted the link-ranking on which its whole search engine depends. But for most of us, Google managed to make a fortune without noticeably reducing its usefulness — a neat feat.) Worst case: Twitter fails to figure out a business model and its investors grow impatient, forcing the service to overload us with advertising like a tanking dotcom in 2001. I share the general enthusiasm for Twitter as a model for real-time interaction. But I don’t fully buy the “New Internet” notion. By 1996, people like me (and David Weir, and Evan Williams, and Dave Winer, and countless others) had flocked to the Internet because it was wide open. In the World of Ends formulation, “No one owns it. Everyone can use it. Anyone can improve it.” Twitter, exciting as it is, falls far short of that kind of game-changing. Thr thing that surprises me — and I’ve discussed this with Dave Winer, too — is the way that no Twitter clients implement any kind of persistent store of their history. If Twitter itself doesn’t so much of anything useful to make your deep comment and mention history accessible, why on earth don’t the standalone clients do so? Where is the Twitter extension for Thunderbird that grabs DMs, sent tweets, and mentions, and stores them in Sent and Inbox folders for a standalone account? If something happens and everybody else’s tweets suddenly vanish, that would be horrible; but if my old tweets suddenly disappear from the internet, that’s personal. Where are the apps that help me prevent that potential disaster, at least? That’s why everyone should switch to Identi.ca. Ray — here’s why — they dont want to anger TwitterCorp. The thing that made the Internet wonderful is that it is the platform without the platform vendor. Twitter is not that, the platform vendor is at the center of everything that happens on Twitter, or doesn’t happen. The fact that anyone could develop anything they wanted on the Internet is what made blogging possible. In blogging we just cruised through this issue, implemented what made sense, and its still what people use a dozen years later. You couldn’t make an idea stick like that in an environment where the vendor controls things. If you want to get an idea of how much control they impose and plan to impose, read the TechCrunch article that came out as a result of the document leak. They talk about how they dont share with developers the essential value of Twitter, the realtime flow of our message. From when we talked about this before, I’m still trying to wrap my brain around the idea of why Twitter would want to avoid people keeping a persistent store of their own tweets, a thing which, one assumes, could only reduce the load on Twitter’s regularly-overwhelmed search engine, while doing little or nothing to reduce its usefulness for real-time search (after all, most people using search aren’t trying to find that thing they said to that guy way back whenever it was; and those that are don’t really fit into Trending Topics, which appears to be Twitter’s primary search focus). And what, exactly, could Twitter do to my hypothetical Thunderbird extension, anyway? Is there something in their TOS which would allow them to deny properly formatted API calls from some particular client? What if someone used the SQL engine now built in to Mozilla and Flock to scrape the regular Twitter web feed of twitter.com/inbox, twitter.com/replies, and twitter.com/[user name] into some kind of permanent store for a given user? Is there even any way that Twitter could detect that? I understand that Twitter is, for whatever reason, discouraging permanence in the app ecosystem; I’m still just baffled as to why it hasn’t happened anyway. TwitterCorp doesn’t want to get routed around. For an insight into this, read the TechCrunch report. I have an account on identi.ca but the reason I haven’t switched is probably the same reason many others haven’t. It’s not that I don’t want to anger TwitterCorp. ; I doubt they’re paying any attention to me. It’s that Twitter is where the people are. It had a big head start, and for now, it’s t he beneficiary of a simple network effect that’s hard to counter. If I were less of a pragmatist I guess I’d switch anyway. Instead, I’m still using Twitter, but happy to have the discussion about its problems and limitations on Twitter itself, as well as here on my blog, which I still think of as the center of my online communications. Just do what I do and use Feedburner and the RSS of your tweetstream and @reply Tweetstream and e-mail to your Evernote account (in my case) or wherever you want. Then they can do whatever they want and you still have your data. Is that over simplifying things? Scott, it’s the developers who don’t want to anger TwitterCorp. Users don’t think the company cares what they do, probably correctly. Some platform vendors are more vindictive than others. Apple in the early 90s was a total police state. Tolerated no dissension. Microsoft at the same time seemed to like it when you criticized them, at least the groups that were in competitive markets like Word, Excel and later Internet Explorer. Hi Scott. I believe what the guy I quoted meant about Twitter being “the New Internet” is that it is attracting unprecedented attention from developers who are trying to create killer apps that improve Twitter…he also was saying that the paradigm of real-time information is as revolutionary as the Internet itself was back in the day. Companies, and investors that are depending on Twitter APIs are there for a ‘good’ ride without knowing Twitter’s business model. Sorry, who cares if one company controls Twitter or if they make money or not? It’s entertainment to beat back the darkness or boredom for people who have money for computers and cell phones and have the time to play with it. Like Demi thoughts matter? People twittering from the street in Iran is an interesting happening that no dictator will ever allow again (Ask China about controlling the Internet and who runs cell towers in Iran?) It was replaced the next week by the death of a freak. It was great fun to know when bizzaro OD’d first. You can sneer at the media and be a superior know it person first. And Arnie has a big knife! Wow, what a dork – we who know that before anybody else are important. Forget the fact that he showed off his big tool by choice to people who choose to be shown at his whim and under his control. He is a movie actor after all! Twitter is a fun way to pass the time – another entertainment game changer like movies with THX sound.